Learn Hebrew Vocabulary through Pictures, Games, and Interactive Fun! After Alef to Tav you are really ready for the next step... This delightful program will in a very short time teach you Hebrew Vocabulary... It will permit you to speak and sound like a native. Absolutely beautiful graphics, music and lots of educational fun. After all we all learned our very first language without going to school. It came naturally - it came by observing... and listening to what other people called things. That is the best way to learn a language... and now you can learn Hebrew the very same way you learned your first language. 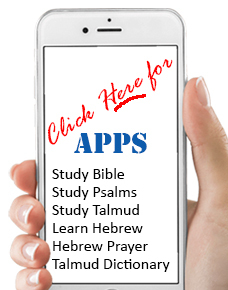 This powerful program will in a very short time teach you Hebrew Vocabulary... It will permit you to speak and sound like a native Israeli with the right pronunciation. The program will teach and test your comprehension, and will track your progress... The software has absolutely beautiful graphics, full of music and will definitely keep your interest. This title is approved by the New York Board of Education and is used in schools around the world. Torah Educational Software and ArtScroll are proud to offer you tomorrows technology... today!